OMID’s leadership and peer education program is an extension of the OMID Model we have been developing over the past three years. With the development and implementation of a leadership and peer education program, we are moving towards achieving our ultimate purpose and goal of the centers work coming full circle; to have the OMID center run by OMID graduates. We envision a future where our graduates facilitate our developmental classes, furthering their own learning, and increasing the impact they have on their communities with the opportunity of moving into leadership positions. Research on youth and women has shown that peer education programs as well as cascading leadership models are effective methods of engaging adolescents and girls and a must in any afterschool or empowerment program. Like all other programs at OMID, the peer education and leadership program is paving the way to finding culturally relevant methods of applying what is accepted throughout the world as a highly effective method of empowerment for girls and young women. The program was launched and provided to thirty OMID graduates and current students. It was broken down into the following three phases, which are now all completed. The first step of phase one was to recruit, interview and select thirty OMID girls (graduates and current students) that showed an interest in the program, who passed the series of interviews and proved to have leadership and facilitation abilities to develop further. The next step was a ninety hour training program provided at OMID for the select group encompassing lessons on gender, health, team, mentoring and leadership skills, plus basic skills for becoming a trainer. This third step provided stipends to the girls in the program to cover their costs that included transport. 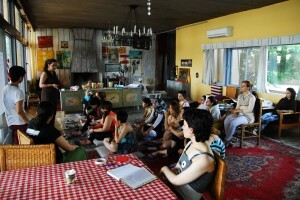 Phase two involved more intensive training through a six day cabin retreat in the North of Tehran, where the girls were split into three mentor led focus groups. The emphasis of the retreat was on intensive training sessions, space for personal development and time for ideas and theories discussed to impact attitude and core beliefs in a safe and open environment. The retreat was one of the highlights for the girls as it created a very safe and empowering space for them to grow and develop further. They bonded with their trainers/mentors and their peers; and came out of the retreat with a much deeper understanding of what peer to peer education entails and with enhanced competencies to put to practice post retreat. Each trainee presented a final project consisting of the development and presentation of a workshop related to the topics each groups were assigned. The quality and depth of these presentations also informed who would continue to phase three. 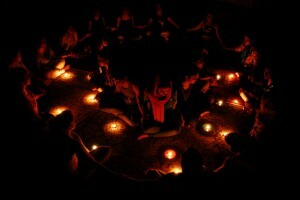 The third phase took the form of a ninety hour internship at OMID. 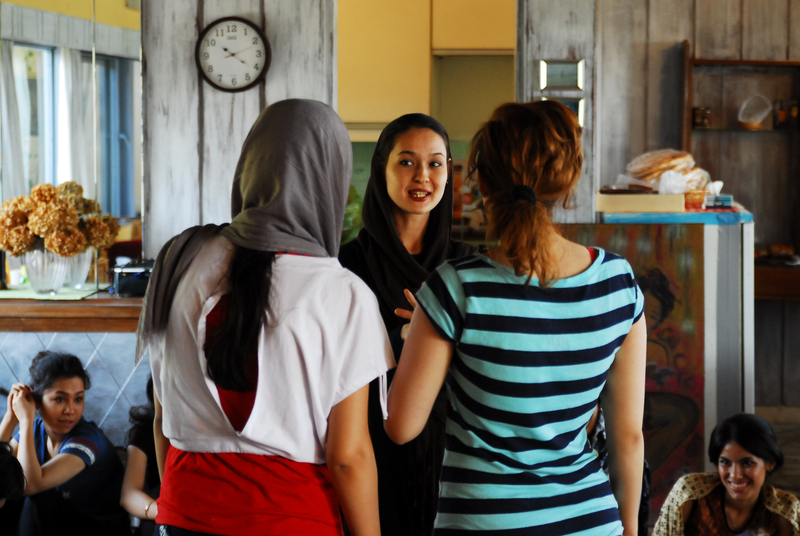 The girls that reached phase three became the educators leading workshops with groups of OMID girls on the subjects they worked on throughout the previous two phases. As a result we now have developed, ten lead peer educators (individuals who displayed the ability to design, implement and carry through a workshop with high proficiency), ten co-lead peer educators (individuals who displayed an ability to lead yet still need further development to increase their skills), and five coordinators (individuals who will be aiding in the preparation and designing packages for workshops). Sadly five girls left before completing the program due to marriage, leaving the country or other personal reasons. Phase four for these girls in about moving beyond OMID and working as peer educators in the community. It proves to be an effective program for us at OMID, and we have been able to use the lessons learned to continue its development in a way that can ensure its sustainability at OMID. 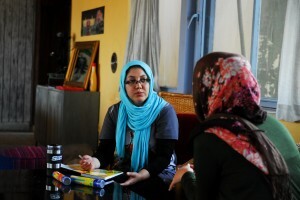 In addition a facilitation manual for peer education training program at OMID was developed for future use. A detailed report on all the phases implemented has been prepared and can now serve as notes for reviewing this pilot program. We have been working with the trained peer educators to continue their development as the CORE team, so that they can be ready to be mentors and leaders of the next group of girls we recruit to be trained as peer educators in the fall of 2016. The current peer educators are also working at OMID running workshops, at different NGO’s, attending seminars at universities and participating in community engagements to further their scope of learning, as well as to give back to their communities. This program was developed and run by Nafiseh Azad, as the lead, under the supervision of Marjaneh Halati, OMID’s founder and Sherry Tehrani, OMID’s program director. 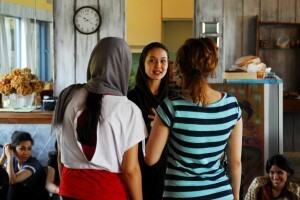 Many people contributed to the success of this program, including but not limited to the sponsors, the team at OMID who assisted with this comprehensive project, and mentors Vahideh Molavi, and Golnaz Malek, who continue their work with the peer educators. And most importantly to the girls who participated and worked hard through the three different phases of this project and continue their efforts to lead other girls at OMID.